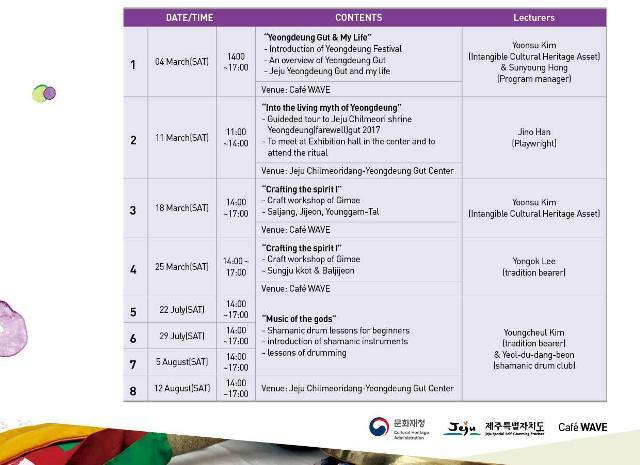 A real highlight of the Jeju festival calendar, the Fire Festival, will welcome the start of spring by setting alright Saebyeol Oreum. 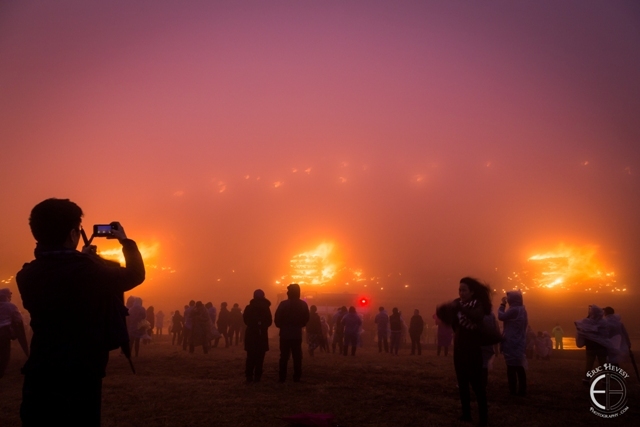 The festival, based on the tradition of setting alight fields to burn off old grass and vermin for cattle, will open on Thursday, March 2, although the main event won't be until won’t be until Saturday 4. As well as the setting alright of the oreum, there will be a whole range of food, performances, and experiences to try out while at the festival. For a glimpse at what to expect this year, check out our review of last year's festival. And don't forget to cross your fingers that this year the rain will hold off! Chilmeoridang Yeongdeung Gut is a traditional Jeju ritual held every year in order to pray for an abundant harvest and a plentiful catch at sea. The ritual is on the Unesco Representative List of the Intangible Cultural Heritage of Humanity due to its “distinctive embodiment of Jeju Identity”. 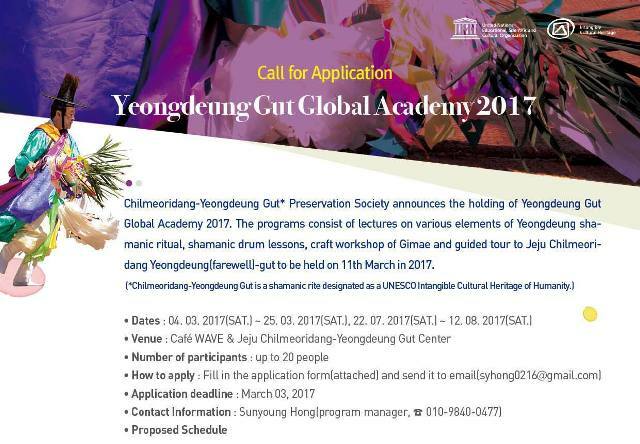 The Yeongdeung Gut Global academy is a is a series of programs on various aspects of Jeju’s shamanic culture. Programs run throughout March and include various tours, workshops, and lectures to help participants better understand this traditional ritual. These days Jeju has an abundance of places to satisfy your brunch cravings. 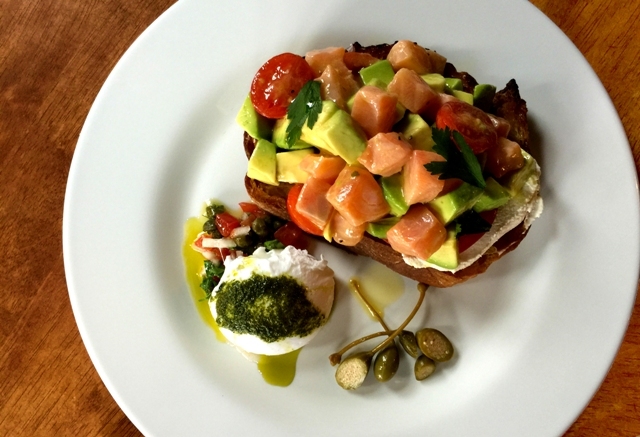 This month we reviewed With Us Travel, but good brunch can also be found in many other places. Here are two places The Jeju Weekly has recently reviewed. 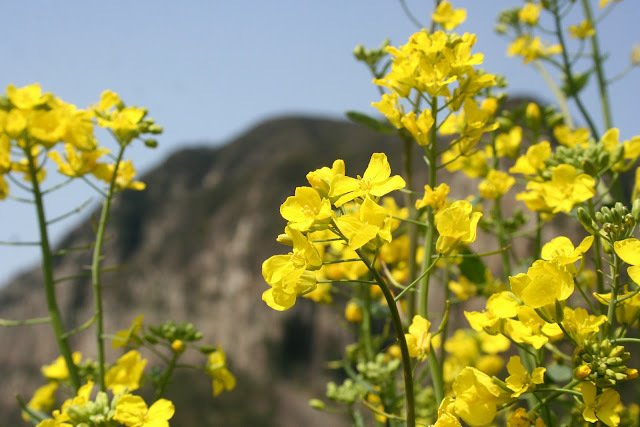 The Seogwipo Canola Flower International Walking Festival enters its 19th year in 2017. The brilliant yellow of Canola flowers are one of the first signs of Jeju's spring and along with the Cherry Blossom Festival, it is one of the year's most anticipated flower festivals. Here is some more information about this year's festival and here is a look back at the 2012 Canola Walking Festival. As well as at this festival, Canola flowers can be seen throughout much of the island including close to famous spots such as Sunrise Peak, Mount. Sanbangsan and Hamdeok Beach. The Moontides for Jeju Haenyeo exhibition is held at Jeju Museum of Art and runs until March 22nd. It is full of artwork dedicates to the island’s diving women. The start of spring, when the weather is neither too hot nor too cold is the perfect time to hike one of Jeju's many Oreum. 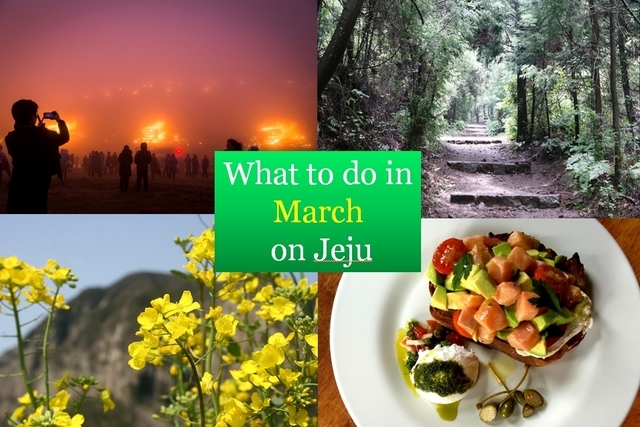 The following article has a list of some of Jeju's best Oreum.